For the better part of ten years, I have really enjoyed learning about hunting and exploring new areas in North America and Canada. 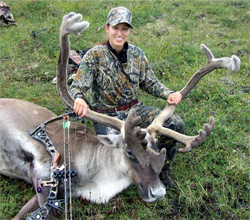 Like many bowhunters I have dreams to hunt in the west for animals such as elk, moose, mule deer and sheep. Wanting to know what it would take to get me on those hunts I dicovered how cumbersome and time consuming it would be to just build preference points, let alone draw a tag! I’ve been working hard these past years to understand the requirements of drawing tags of each state. My goal is to use that knowledge to assist our clients when it comes to building preference points and drawing tags for the hunt of their dreams. One of the primary goals of Bowhunting Safari Consultants is to assist our clients in accomplishing their bowhunting dreams. The license application service is designed to provide you the support you may need in getting the hunting tags and licenses for some of the more difficult drawings in the western states. Understanding the requirements for each states drawing of tags and acquiring of preference points/bonus points is a daunting and time consuming task. Not understanding the different processes for each state could prevent you from getting to the hunt of your dreams. Completed application(s) (online or paper copy) for requested tag and/or preference/bonus points, by state and species. Based on your application needs your credit card will be billed directly for the fees necessary from each state. After all services are complete, your credit card will be charged for our service fee ($50 for the first state, first species, $10 for each additional species in the same state; $40 for each additional state (first species), $10 for each additional species in the same state).